and the people that love them. 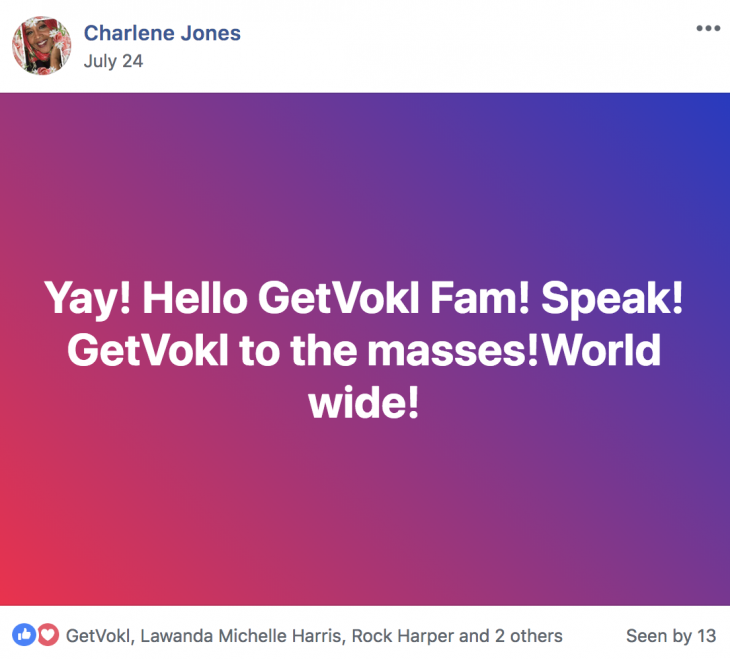 GetVokl is a new way for you, your friends, followers, and community to engage in interactive, live conversations, via real-time video. 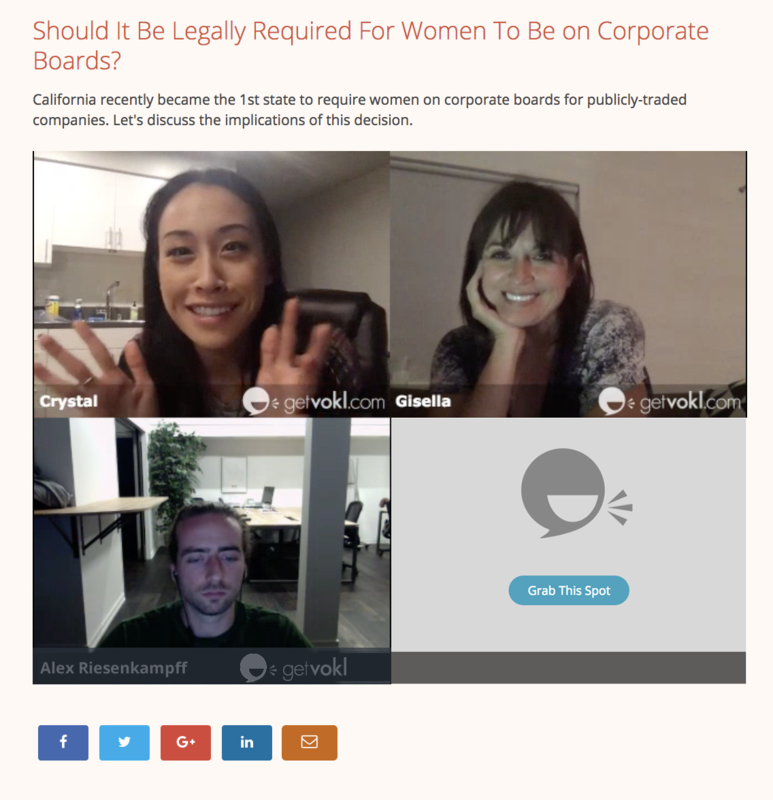 Every public broadcast has a host that initiates the video conversation around a topic...where a rotating panel of guests engage. The host may invite viewers to join the conversation by “grabbing a spot” on stage. 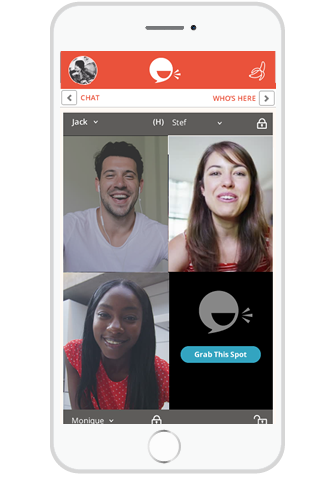 Viewers can break off and have private video conversations. These are not broadcasted or recorded. Viewers are able to friend each other, follow the host, subscribe to a show and form engaged, active communities. The host has the option to live-stream across social channels (Facebook Live, Youtube Live). Interested in integrating GetVokl with Patreon? Many of our broadcasters are already using Patreon to support their work. We are big fans of Patreon and share their vision of helping creators be able to create! We plan to release the technical integration in the upcoming weeks. If you’d like to be alerted the moment it happens, please provide your email address, and we will make sure to let you know.